A warm pleasant day. Slight breeze. Winter in Adelaide is not all bad as you relax on a park bench by the River Torrens. Welcome to the Riverbank Precinct. 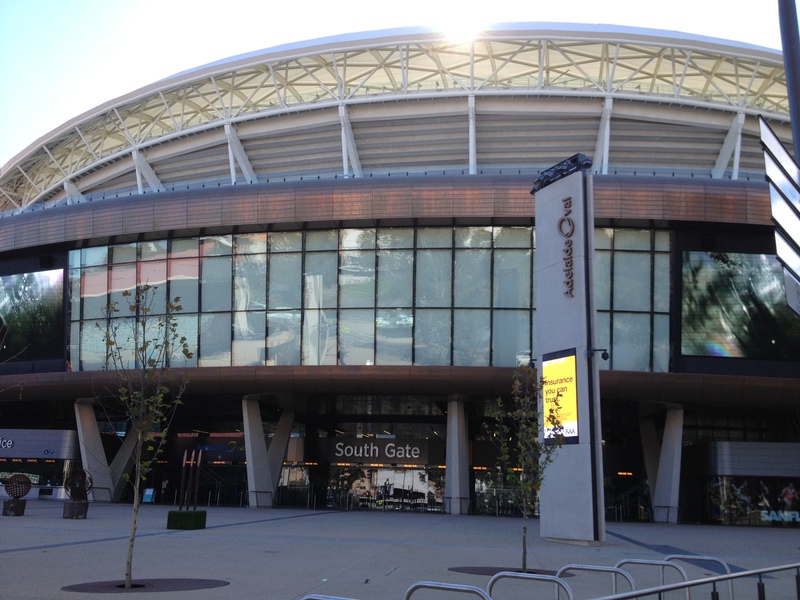 Fuelled by controversy in the planning and building stages, the complex now hosts sell football games each week.However, during the day, Adelaide Oval is quiet with only the low hum of traffic along Memorial Drive. Standing in front of the Adelaide Oval Stadium one feels small in comparison to the huge steel structure that looms above. One could almost say it resembles a spaceship just landed with it’s giant video screens and lights. It might not be London, Paris or New York but Adelaide has its own charms to escape the hustle and bustle of the other Australian cities. Adelaide has consistently been voted in the top 10 of the world’s most livable cities by Lonely Planet.